On Sunday morning, while John Ralston, a fireman, residing at Addiewell, near West Calder, was employed at No. 2 Pit there, belonging to Mr James Young, of Limefield, he incautiously came in contact with the crank of the pumping-engine. His right leg was in consequence severely cut and injured, and severe internal injuries were sustained. The poor man was immediately assisted home, and medical aid sent for; but the injuries were so serious a nature that he expired on Tuesday morning in a great agony. 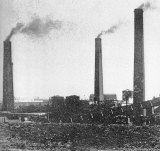 James Lind was put upon his trial, charged with culpable homicide, or culpable neglect of duty in his capacity of engineman at the Paraffin Oil Works Colliery, Addiewell, West Calder. It was his duty to set the engine in motion on receiving a signal from below by a person named the ‘bottomer.’ Upon the occasion in question the engine was set in motion when the bottomer was assisting in getting a truck upon the carriage at the bottom of the pit, when it suddenly began to rise, taking him with it. He was driven violently against a door with such force that he died almost immediately. A number of witnesses were examined for the prosecution, and nine for the prisoner. It was declared, in defence, that the signal was given, for the witnesses admitted that though they did not hear it, the bell might have rung. After addresses by the Procurator Fiscal and Mr Dundas Grant, who appeared for the prisoner, and the charge by the Sheriff, which was adverse to the prisoner, the jury returned a verdict of not proven. 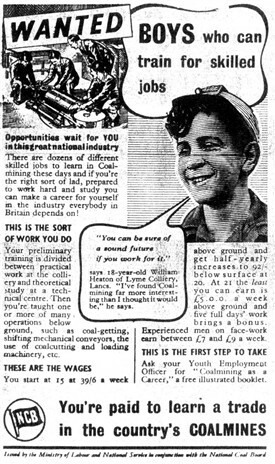 On Monday afternoon, a miner, named Wm. Mathers, forty years of age, was killed in No. 1 shale pit, Addiewell, West Calder, by a piece of shale, about a ton weight, falling upon him from the roof of the pit. It was a quarter of an hour before he could be extricated from the mass which had fallen upon him, and when this was accomplished, he was found to be quite dead. On Tuesday morning, 27th ult., while some of the men employed at No. 11 shale pit near West Calder, the property of Messrs Young & Co., paraffin and mineral oil manufacturers, Addiewell, descended the pit to commence their work, they were horrified to find the mangled body of a man at the pit bottom. On the body being removed to the pit-head, it was identified as that of William Moon Jackson, a pointsman at Cuthill siding of the loop line of the Caledonian Railway. From what we have been able to learn, deceased had gone to West Calder on the previous night to attend the annual festival of St John's, and was seen to leave the lodge after midnight a little the worse of liquor, and nothing more was heard of him until his body was discovered. It is supposed he had wandered and fallen down the pit, which is 105 fathoms deep. The body was much mutilated, one of the arms being torn away from the body. Deceased was about thirty years of age, a native of Ireland, and unmarried. On Thursday, David Graham, miner, accidentally fell down the shaft of No. 1 Woodmuir pit, Blinkbonny, near West Calder,while working at the pit mouth, and was instantly killed. On Saturday morning, while Robert Cummins (18) was attempting to put the belt on the pulley, when the machinery was in notion, his clothes were caught by the revolving shaft causing instantaneous death. On Saturday last a workman named Robert Colquhoun, who resided at Longridge, was killed by a fall from the roof in Loganlea Colliery. Deceased followed the occupation of a brusher in the colliery, and was attending to his duties when fully two tons of material fell from the roof and pinned him underneath it. On being extricated life was found to be extinct, his head being severely crushed and one of his legs broken. The body was conveyed to his home at Longridge, where he leaves a widow and two children, for whom keen sympathy is felt. On Monday morning a colliery engineman named John Rae, residing at Livingstone Street, lost his life by an accident at Westmains Colliery. It appeared he had been in the act of oiling machinery in motion when his clothes caught in a teeth and pinion wheel, and he was dragged in amongst the machinery. Death was instantaneous and the body was terribly mangled. Deceased leaves a widow and large family for whom sincere sympathy will be felt in their sad bereavement. On Thursday morning of last week Jeremiah Greeney, 44 years of age, residing at 15 Loganlea Rows, Addiewell, employed at Foulshiels Colliery as assistant pit bottomer, was killed while following his employment. Deceased had just put a loaded hutch on to the cage and signalled to the engineman to raise, when another full hutch that was in motion at the pit bottom ran against him, knocking him into the cage, with the result that he got jammed between the bottom of the cage and the side of the shaft. Deceased was well-known in the district, and leaves a widow and young family, for whom sincere sympathy is felt. A later report says the unfortunate workman, when the hutches drove him against the cage, gasped the bell wire, and the cage at once lifted. Another workman who witnessed the sad accident at once belled the engineman to reverse, but when the cage reached the pit bottom, life was extinct. The funeral took place to West Calder Cemetery, and was largely attended. Midlothian Advertiser 9 April 1920, page 2. Loganlea Pit. Yesterday forenoon a miner named Robert Paton, residing at Breich Terrace, West Calder, was accidentally killed while at work, through a fall of material from the roof. David Stevenson Ellis, electrical engineer, Beechwood Cottage, Muirhall, Addiewell, died 24 December 1933, at the City Hospital, Edinburgh, from injuries received on 8 December 1933 on the haulage road between Breich Pit and Deans Oil Works, when he was struck on the right leg by the lever of a hutch. Edward Sharkie, shale miner, 20 Main Street, Livingston Station, died 4 Feburary 1939, in Mid Breich shale pit. Shale fell from the roof and crushed him. The entire community was profoundly shocked on January 30 to learn of the death in Edinburgh Royal Infirmary, of Mr James Lawler, aged 31, who resided with his mother at 95 Livingstone Street. Mr Lawler was involved recently in a mining accident in which he sustained serious injuries. He was a popular young member of the community and his passing under such tragic circumstances is regretted by residents in the district. Sincere sympathy is felt for his mother, brother and sisters in their bereavement. The funeral from St Thomas' R.C. Church to West Calder Cemetery on Saturday afternoon was very largely attended. Last week a young man named James Steel, 17 years of age, who resided at 47 Mooreland Gardens, lost his life by an accident in the Loganlea Colliery. His father died from the result of an accident in the same section of the pit in 1934. Sympathy is felt for Mrs Steel, the lad's mother, and the family in their second bereavement. It is with regret that we record the death of Richard Whigham of 70 Livingstone Street, Addiewell, the result of an accident at his work. Richard was only 16 years of age. He was a very cheerful boy and will be sadly missed in the village. Sincere sympathy is felt for the family in their sad and sudden bereavement. This page was added by Sybil Cavanagh on 09/07/2012.